I believe that the SSHAT Test should not be changed, but the procedures for taking the test must change. FYI, two of my daughters were accepted to Stuyvesant HS after taking the SSHAT. This fact does not change my opinion. When I was President of the PTA at Booker T. Washington MS 54, the school was racially segregated and I tried to change this. I also tried to stop the misallocation of funds by the Principal. I was attacked, of course, by a group of the white parents, all of whom wanted their children to continue to receive the favors and treats of being white. Ironically, one of the parents who attacked me is the current Parent Coordinator of JHS 54, Anne Pejovich. I have a mountain of information on her duplicity to share in my book in the sad chapter of parents fighting parents who speak up. The DELTA Honors program fed students directly into Stuyvesant, Bronx Science, Edward Murrow, Brooklyn TECH. The four other programs inside Booker T. did not permit students to take the SSHAT test. This was the problem. Let all kids who want to take the test TAKE IT. The unfairness in telling a child he/she cannot take the test simply because they are not "ready" or just "can't" is unfair and unjust. I and several other parents did a random survey of the schools in the upper west side of Manhattan by standing outside the schools after Parent visiting day, and we asked 2 questions: 1) is your child in 8th grade? 2) is your child taking the SSHAT test? The answers were surprisingly, no, they knew nothing about applying for the test or when it would be given. DELTA was more than 90% white. The other programs at MS 54 reflected the neighborhood, mostly black or Hispanic. I live on the Upper East side, but my kids were accepted at DELTA because the former head of the program, Fred La Senna, accepted them, starting with my oldest, who had an IEP. She, and one of her sisters, wanted to go to Stuyvesant, took the test, and got in. No other school would have challenged either daughter, and Stuyvesant was the right learning environment for their learning style. Change the way students apply to take the test, and we may begin to see more diversity in the Stuyvesant pool of incoming students. Don't change the test. Today, the NYC Department of Education announced the results of the City’s high school choice process, including data about students admitted to the City’s eight specialized schools. As in past years, Black and Latino students are starkly under-represented among those receiving offers to these elite schools. A central question is whether the schools’ admissions policy—based exclusively on the Specialized High School Admissions Test (SHSAT)—is to blame for the lack of diversity. 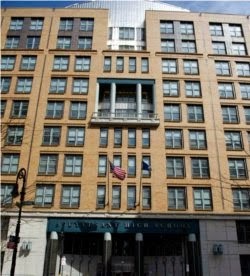 A new brief, Pathways to an Elite Education: Exploring Strategies to Diversify NYC’s Specialized High Schools, examines students’ pathways from middle school to matriculation at a specialized high school, highlighting opportunities to intervene and improve access for underrepresented groups. The brief also simulates the effects of various admissions criteria that have been proposed as alternatives to the current SHSAT-based admissions policy, including state test score, grades, and attendance. In general, we found that these rules would increase the share of Latino, White, and female students. But, most of them would not appreciably increase the share of Black students nor reduce the concentration of offers in a small number of middle schools. The brief is based on a working paper by the Institute for Education and Social Policy’s Sean Corcoran and the Research Alliance’s Christine Baker-Smith. The Research Alliance for New York City Schools is a nonpartisan research center housed at the New York University Steinhardt School of Culture, Education, and Human Development. The Research Alliance conducts rigorous studies on topics that matter to the city’s public schools. The organization strives to advance equity and excellence in education by providing evidence about policies and practices that promote students' development and academic success. I am re-posting a very important post on Chaz's School Daze about the problem code. The UFT is not willing to end this blacklist? The last time I spoke with UFT's Amy Arundel, she insisted the "Problem Code" does not exist. Indeed, when I worked for the UFT from 2007-2010, and my office was right next to Amy's office, I used to get calls all the time from members who wanted to know whether or not they were on this list, and I would walk next door and ask Amy, who would look up their file, and then she would tell me yes or no. Anyway, if you are on the problem code, you must try to get off of it. What you need to do is, contact the Office of Personnel Investigations (OPI) at 65 Court Street, and ask for an appointment to talk with an "investigator". Bring someone with you, anyone. Back in 2012, the DOE decided that any teacher who was subject to a DOE investigation (SCI, OSI, OEO) and found to be substantiated will have a"problem code" attached to their file. It mattered little that if the teacher decided to go through with their 3020-a hearing and the independent arbitrator found that the DOE investigation was flawed and found no serious misconduct, the DOE still kept the "problem code" on the teacher's file. At the time the UFT leadership objected and claimed they will take it to PERB. However, the UFT leadership failed to pursue the PERB complaint. The question is why did they quietly drop their promise to file a PERB complaint, or did they ever really intend to fire one in the first place? The union's failure to protect their members shows up yet again, be it the second class status of the ATRs, reassigned teachers put on ice in a different borough, or the labeling of the unfair "problem codes". 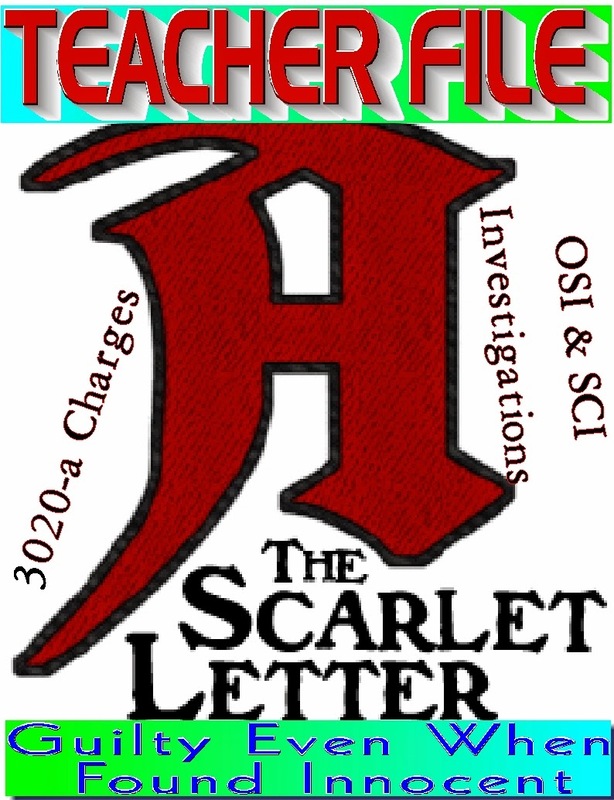 Our union's failure to remove the"Scarlet Letter" from their member files is a disgrace and must be corrected. As a member with one of those "problem codes"on my file. I will be more than happy to be the test case, if the union leadership wants to challenge the unfair DOE designation that has damaged many member chances from obtaining a position. However, I doubt that the disconnected leadership will do the right thing and file their long promised PERB complaint. We hear all the time about principals using their p-card for personal purchases, and other thefts of public money by politicians. But when the Mayor's people are involved, the money flow into private pockets is often ignored. Take Anthony Shorris, for example. He took his son to school in a chauffeur-driven car when he worked for Joel Klein. When Bill De Blasio became Mayor he hired Shorris as Deputy Mayor - Gotta have him back, he is the only man in the US who knows enough secrets of NYC government to keep those secret if on salary. Joel Klein seemed to be particularly immune to public scrutiny of public funds, and I think his deep loyalty to Hillary and Bill Clinton and their coverups is what got him the job. The chauffeur driven cars became an issue for a second, see below. The Board of Education changed its name, but its love of perks lives on. Schools Chancellor Joel Klein, who is chauffeured around town in a city car by a bodyguard/driver, has extended the fringe benefit to six of his top deputies - costing taxpayers nearly $600,000 a year. At a time when the Education Department is considering laying off some 3,200 lunch ladies and teacher's aides, bodyguards and door-to-door car service for educrats making six-figure salaries is raising eyebrows. "It's outrageous because [Mayor] Bloomberg promised there would be savings and all would be plowed into the classrooms," said Sol Stern, a fellow at the Manhattan Institute for Policy Research. "It's totally hypocritical, especially when they are talking about laying off school aides to balance the budget.
" The officials are picked up at their homes and driven to work in Ford Crown Victorias outfitted with police lights and sirens to cut through traffic. The Daily News recently spotted a driver for $250,000-a-year Deputy Chancellor Diana Lam shoo another car out of the way with lights and sirens - despite a City Hall directive against using them for anything other than emergencies. The News also saw Deputy Chancellor Anthony Shorris taking his son to school in a chauffeured city car. Shorris earns $168,700. At an estimated cost of at least $580,000 a year - based on 2001 figures for driver salaries, maintenance and fuel - the stash of cars is a pricey perk. That's enough to pay the salaries of 28 teacher's aides. Chancellors have had chauffeurs since at least the late 1970s. But after the Board of Education was disbanded, Klein doubled the number of school brass with drivers to six from three, according to a current roster obtained by the Daily News. Klein's three deputies - Lam, Shorris and Kathleen Grimm - have the benefit, as did former Chancellor Harold Levy's top three aides. But Klein has expanded the perk to Benjamin Tucker, schools security chief; Lester Young, director of youth development, and Robert Knowling, head of the new principal recruitment institute, the roster shows. Shifting gears Contacted yesterday by The News, school officials said they were going to start a car pool for top management. "We have been reviewing all expenses at central, and as part of that process we are eliminating the use of individual cars by senior leadership," said Klein chief of staff LaVerne Srinivasan. David Chai, a spokesman for Klein, said the administration had shrunk the system's fleet to 78 cars, down from 138 when the chancellor took office in August - a drop of more than 40%. Still, this kind of largess was supposed to vanish when the state Legislature abolished the board, which gave each of its seven members a car and driver. A News review of board perks last year prompted a law barring its replacement - the Panel for Educational Policy - from getting cars and drivers. Rather than fire the drivers/bodyguards and mothball the fleet, Klein assigned the cars and drivers to his staff. The move came despite a vow by Mayor Bloomberg - who takes the subway to work at least once a week - to reduce the number of cars doled out to city employees. "We eliminated the perks - the cars and chauffeurs - so the money could be plowed into the classroom, not so the cars could be recycled for some other school official," said Assemblyman Steven Sanders (D-Manhattan). Fourteen men and women work as bodyguards and drivers for the school system, according to the most current roster. Eight of the 14 are assigned to Klein, who has two drivers, and his team. Two more are available to drive other top brass or to fill in. Of the remaining "executive protection unit," one is assigned to gang investigations, one is at the front desk of the department's headquarters in the old Tweed Courthouse and two are on leave. "A lot of promises have been made about money being saved, and people are beginning to see that what they say at Tweed and what they do are two different things," said teachers union President Randi Weingarten. "People are going to be laid off, so this is the time for management to make sacrifices as well. 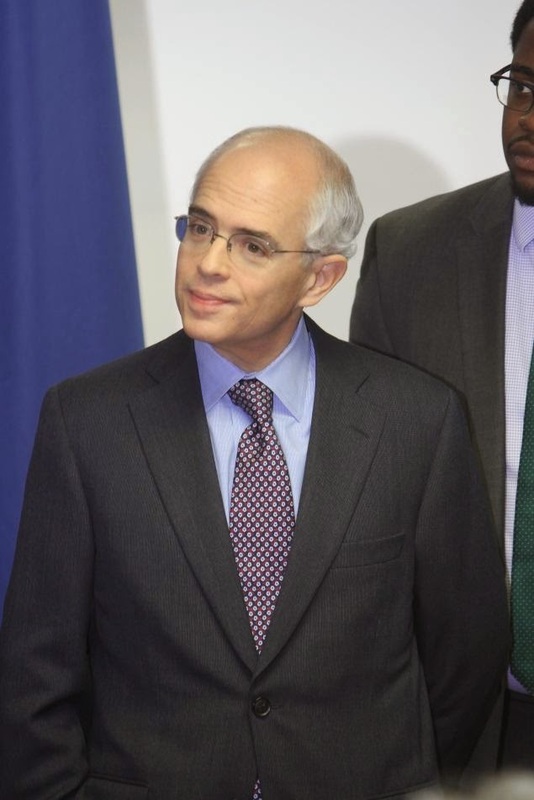 First Deputy Mayor Anthony Shorris serves as the second-highest ranking official at City Hall, and is charged with managing the day-to-day operation of City government and the provision of core services across the five boroughs. Shorris comes to the post as a proven manager at City agencies, public authorities and private sector institutions. Anthony Shorris began his service at City Hall in 1978 during the Koch Administration. He served as Deputy Director of the Office of Management and Budget, responsible for the City’s (then) $23 billion revenue budget, $3 billion annual capital program, and all spending on social services, housing and economic development. While at OMB, Shorris served as an architect of the landmark Ten-Year Housing Plan—the largest local housing initiative in the country. As OMB Deputy Director, Shorris dedicated more than $4 billion in City capital funds to the construction and rehabilitation of nearly 200,000 units of affordable housing in arson-ravaged neighborhoods. The massive initiative brought together and coordinated community-based non-profits, private developers, contractors and government agencies. Shorris continued to serve Mayor Koch as Finance Commissioner, leading the fourth largest tax agency in the nation with more than 3,000 employees and responsibility for collecting over $15 billion in City revenues. At Finance, he spearheaded efforts to reduce tax fraud, culminating in some of the largest investigations in city history that recouped significant funds for the City of New York, as well as creating a Taxpayer Bill of Rights. 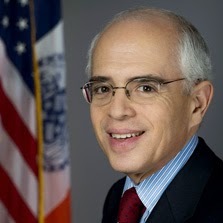 Shorris returned to City government in 2001, where he served as Deputy Chancellor for Operations at the Department of Education under two chancellors. After the September 11th attacks, Shorris managed the Department’s efforts to provide mental health services, clean up damaged sites and transport relocated students displaced in Lower Manhattan. Shorris helped steer the Department through the difficult budget immediately following the attacks. His education experience led then-Governor Spitzer to turn to him to lead negotiations to settle the Campaign for Fiscal Equity lawsuit and create the NYS Contract for Excellence program to increase school aid across the state. Shorris served both Governors Mario Cuomo and Eliot Spitzer at the Port Authority of New York and New Jersey. As First Deputy Executive Director from 1991 to 1995, he helped steer the agency through the aftermath of the first World Trade Center attack. Among his chief accomplishments as Executive Director were advancing the development of the World Trade Center site, including strategies to reduce the spiraling costs of the transportation hub; acquiring Stewart Airport in Westchester County in 2007 setting in motion plans for its expansion as the fourth major regional airport; creating new standards for green construction and the agency’s first carbon offset program; developing the first Compstat program for the PAPD; requiring agency contractors to provide health insurance; and breaking the influence of powerful lobbyists whose clients had business with the agency. Shorris is a widely respected leader in healthcare. He previously served as Senior Vice President, Vice Dean, and Chief of Staff of the NYU Langone Medical Center, one of the nation’s leading academic medical centers. He helped direct the hospital’s successful efforts to recover from Hurricane Sandy, re-opening just nine weeks after the storm. From 1995-2000, he served as Executive Vice President and Chief Operating Officer at Healthfirst, a nonprofit that he helped launch, offering free and low-cost insurance plans to low income individuals, families, and seniors. A multi-billion dollar company, Healthfirst is one of the largest nonprofit managed healthcare organizations in New York, serving over 900,000 members, and during his tenure Shorris significantly expanded its reach and services to vulnerable New Yorkers. He worked closely with the 1199SEIU National Benefit Fund to create a path-breaking program to provide homecare workers with health insurance. Shorris has also taught and consulted widely. 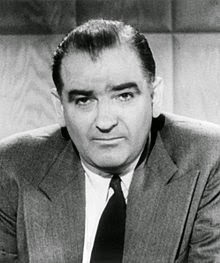 While at Princeton University’s Woodrow Wilson School, he led the Policy Research Institute for the Region and taught classes in crisis management, poverty policy and education economics. At NYU Wagner, he led the Rudin Center for Transportation Policy and taught classes on both management and transportation as a lever for social change. He has taught and lectured overseas in Italy, East Europe, and the Middle East. He was also a board member of the Regional Plan Association and co-chair of the Fourth Regional Plan, an advisory board member of the Independent Budget Office, as well as a board member of the Healthcare Association of New York State. In the past, he has served as board chair of the Center for Employment Opportunities and the Coro Foundation-New York, as well as a board member of the University Settlement House.